Did I miss something? When did it become a bylaw that whoever wins the NHL's Art Ross Trophy as leading scorer automatically takes home the Hart Memorial for most valuable player? Down Goes Brown joked about this about a week ago, but sadly it's not really a joke. It's reality. Everyone and their mother seems to have penned in (not penciled) Daniel Sedin for league MVP, presumably because he leads the NHL in scoring. That's all well and good. But the award isn't for the most outstanding player, or the leading scorer. Sedin is the clear-cut choice for those. The trophy goes to the "player adjudged most valuable to his team." Remember when Daniel Sedin missed so much time a year ago? Vancouver finished with 103 points. They have 113 now and won the Presidents' Trophy for the first time ever, with the potential to finish with 117. Sedin was a critical part of that success. But sorry, he's not the most valuable player in the entire NHL. Ever hear of Henrik Sedin? He has 92 points. Ryan Kesler? He has 37 goals. Alex Burrows? Twenty five. Roberto Luongo? He's going to set a career-high in lowest goals against average (2.14) and his save percentage (.927) will be his second-best. Take Daniel out of the equation and I think the Canucks will still thrive. Not Presidents' Trophy winners, but they'll win the weak Northwest Division. That's how the Hart Trophy - or, I guess as it should be known from now on, the Hart Ross - should be determined. What happens when you take someone off that team? It's not the best player on the best team. Corey Perry's torrid pace (seven multi-goal and 10 multi-point games in the last 14 while Anaheim is fighting for a playoff spot) seems to be the only element keeping Daniel Sedin's name from the Hart Ross. Perry has nine more goals than Daniel (50 to 41) and is only three points back of him for the overall lead (100 to 97.) Perry will likely be the only NHLer to score 50 goals this season after three guys did it a year ago. The detractors can and will argue - validly - that Perry has a strong supporting cast in Ryan Getzlaf, Bobby Ryan and Teemu Selanne. Strangely, I don't hear them arguing the same about Daniel with the aforementioned trio. And by the way, Perry has 16 more goals than any other teammate and 19 more points. Daniel has four more goals than Kesler and eight more points than Henrik. Perry has 11 game-winning goals, Daniel has 10. There are worthy candidates other than Perry. 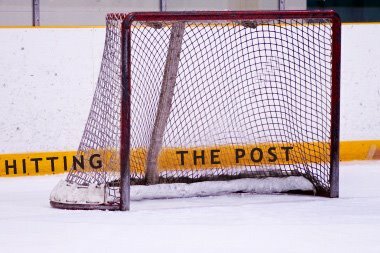 For instance, why are goalies always shut out of this thing? Since the 1962-63 season, a goalie has been named MVP only three times. Dominik Hasek won it in back-to-back seasons ('96-97 and '97-98) and Jose Theodore won after the 2002 season. That's it, that's the list in the last 48 years. I hear the "Goalies have the Vezina" argument, which is a load of garbage. Forwards have the Art Ross, the Maurice Richard and Selke trophies. If that's how we judge how good a player is, why even bother with an MVP award? Four goalies should garner Hart Ross consideration: Marc-Andre Fleury, Tim Thomas, Carey Price and Pekka Rinne. I wrote about Fleury a couple weeks ago so I won't delve into him now. All I'll add about Fleury is the Penguins could go into the playoffs without a currently-healthy body who scored 25 goals or 50 points this season. Yet they might still win the Atlantic Division. But here's something I want to know: Can you name any member of the Predators other than Shea Weber and Mike Fisher? (Fisher only because he made the headline "Nashville trades for Carrie Underwood's husband.") Nashville will qualify for the postseason - again - on the strength of Rinne, whose GAA (2.14) and save percentage (.929) are second in the league. Nashville's leading scorer has 50 points (Martin Erat.) That's half Daniel's total. Sergei Kostitsyn paces the goal scorers with 22. That's less than half of Perry's total. Take Rinne out of Nashville's lineup and the Predators will not make the playoffs. That's the definition of "most valuable." Instead, voters and fans just seem to want to take the easy way out and vote for whoever leads the best team in scoring. There was even talk of co-MVPs for both Sedins, which is the most absurd idea in the world. If there's a debate between two players on the same team for MVP, then clearly, neither one is "most" valuable. If you take one out of the lineup, there's still the other player. If you want to talk the Ted Lindsay Award (formerly the Lester B. Pearson), that's one Sedin could easily win. That award is defined as "most outstanding player." It's not the "most valuable." There's a difference between being outstanding and being more valuable than anyone else is. Daniel Sedin is arguably more outstanding than the rest of the league. He is not the single straw that stirs his team's drink. That's how the Hart Trophy should be awarded, not just on who's at the top of the points list. Good read, KiPA. As a Canucks fan, I've wondered why the Hart seems to be tied at the hip with the Art Ross ("Hart Ross" - nice!). If I had a vote, I would give it Perry, as I believe Anaheim would not be in the mix as much as they are without his very timely scoring these last two months. Thanks. Sometimes, the Art Ross is a legitimate MVP. Crosby would've won it easily this year if he maintained his pace (which would've been something like 60 goals and 130 points, far and away more than anyone else.) He deserved it in 2007. Ovechkin was worthy in 2008 and maybe 2009. I had some issue with Henrik winning it a year ago - again, compare his supporting cast to Crosby's (namely, forget the "name power" of Malkin and look at his actual production) - but I could live with it. This year though, I just don't know how people give the MVP to Daniel without even thinking about it. He's had a fabulous season but Vancouver can survive without him. Other teams couldn't survive if they lost a certain player.